Thanks for stopping by the Painted Bird Blog. It is winter and the holidays are past... the perfect time to kick back and enjoy a puzzle! Kristin Hurlin, Glen Arbor artist has had such great response to her new puzzles that we want to share them! 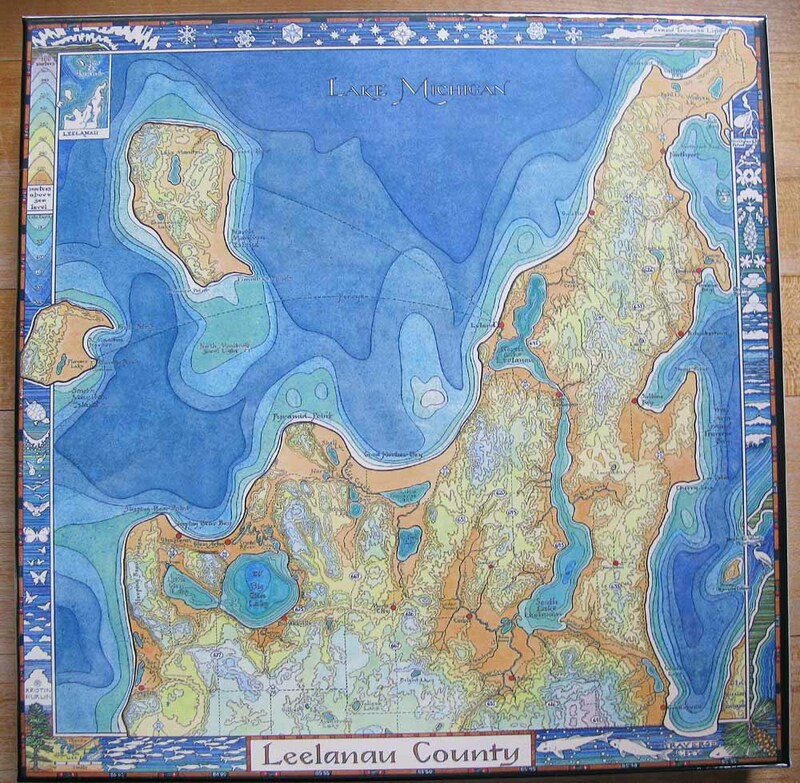 At 22" square and 500 pieces the Leelanau puzzle is a challenging, fun and gorgeous work or art! You are sure to learn a lot from all of the incredible detail Kris has included. Want to see them all? Check them out on the site! 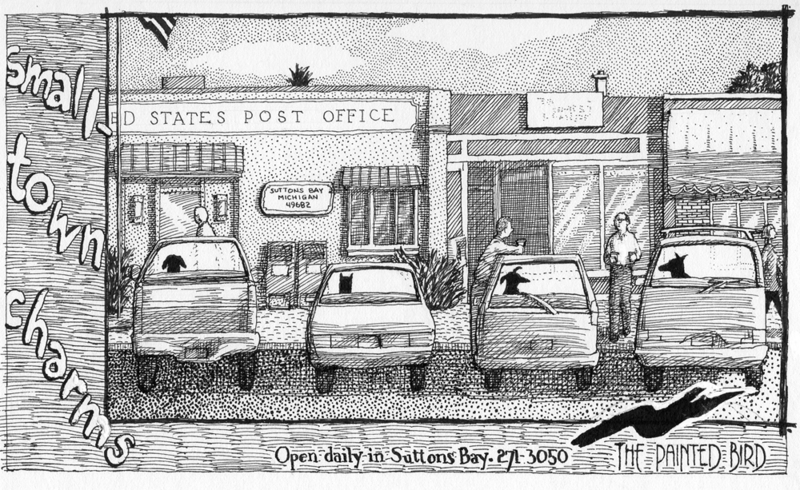 I am looking back at some wonderful artwork done for us by Lynne Rae Perkins.This could have been drawn yesterday! Hometown talent just doesn't get any better! Thanks, Lynne! 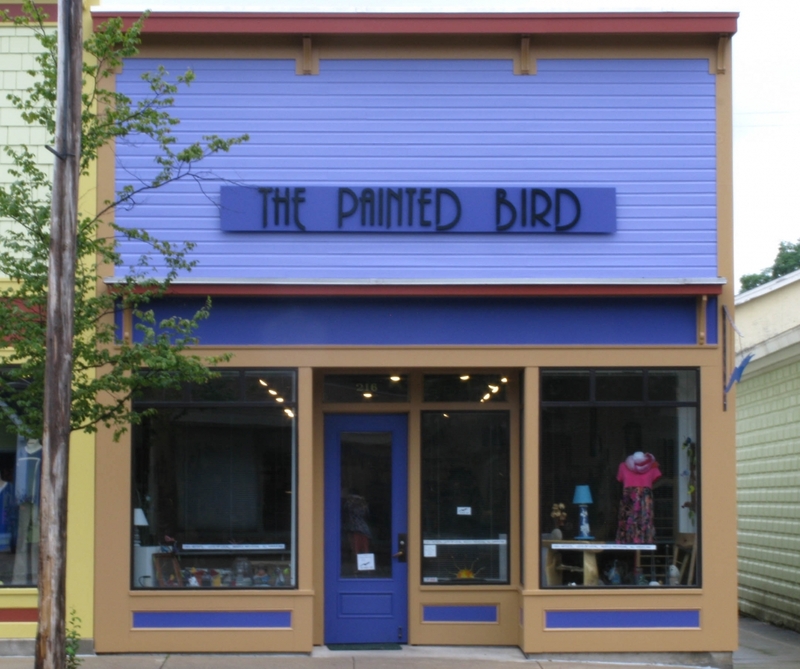 * The Painted Bird turns 30 this year! Spring is here and we have been busy. Just to keep you posted, take a peek! New work is coming in! 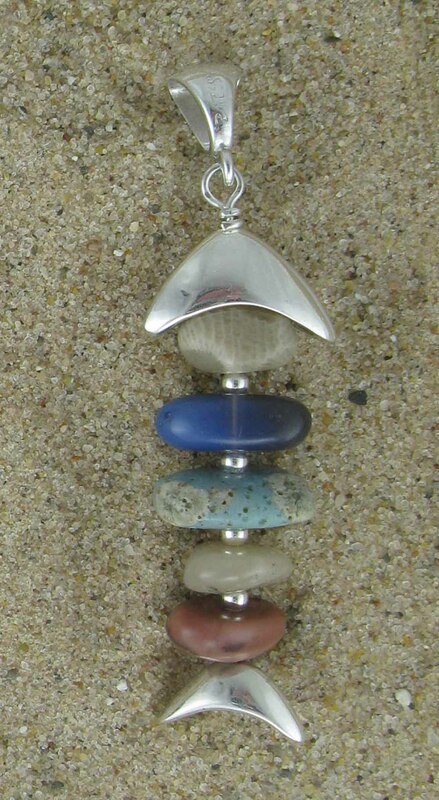 new fish pendants by Kevin Gauthier. Check them out! 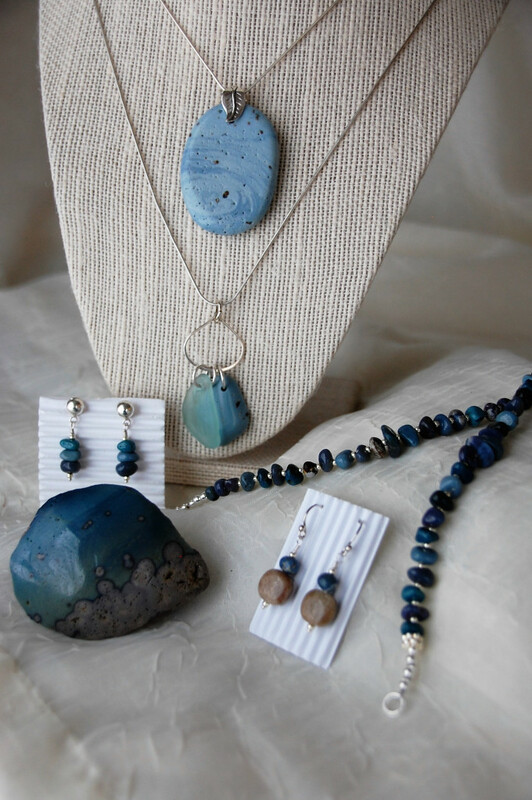 and Ruth Bloomer has brought us the most beautiful Leland blue (and other beachstone) jewelry. You will want to see them all! You know why I'm so excited about the new year? Well, in 2014 The Painted Bird soars to new heights as we launch our NEW WEBSITE! Our poor old website has had NO attention since 1999! (NO kidding). Now you can shop it, wherever you may be, whenever you like! You will see so many great favorites from the store. If there is something special you want to see, let us know and we will email you an image and info on just what you are looking for. I am excited to reach out via the web to our fans far away. Now you can all see our fine collection of affordable American crafts in our Suttons Bay gallery. The Painted Bird takes flight in 2014 so you don't have to make the drive! 1987 to 2014, - not exactly an anniversary, since round number years are usually celebrated , like 5, 10, 25, and so on. Do come and see us soon!